WHAT: Fifteen years after saving the Malaysian prime minister’s life, Derek Zoolander (Ben Stiller) and Hansel (Owen Wilson) are lured back into the world of modeling by trendy fashion designer Alexanya Atoz (Kristin Wiig), only to discover that it’s all part of an elaborate scheme designed by Zoolander’s arch-nemesis Mugatu (Will Ferrell). WHY: Fans of the original “Zoolander” have been clamoring for a sequel for more than a decade, so it’s not like director/co-writer Ben Stiller didn’t have the time to ensure that it lived up to his 2001 cult comedy. Unfortunately, “Zoolander 2” is such a complete and utter embarrassment that it boggles the mind how it got made. Though there are a handful of laughs scattered throughout the film’s painfully slow 102-minute runtime, most of the movie is predicated on lazy gags and a rapid-fire series of celebrity cameos – a few that are funny (Justin Bieber, Kiefer Sutherland), one that is really awful (Benedict Cumberbatch as a transgender model named All), and a majority of which are incredibly pointless. 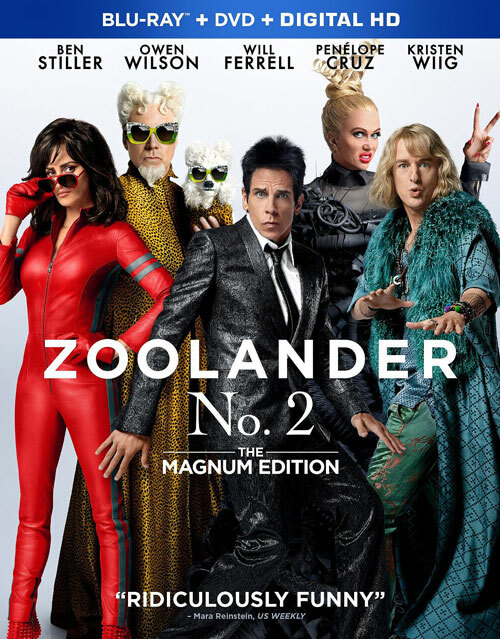 It’s just one bad thing after the other, from the terrible subplot involving Zoolander’s son, to Kristin Wiig’s entirely superfluous villain, to the surprising lack of chemistry between Stiller and Owen Wilson. While it’s no secret that comedy sequels are notoriously difficult to pull off, “Zoolander 2” is so dreadful that it feels like a poorly made parody of its predecessor. EXTRAS: There’s a handful of featurettes on the “Zoolander” legacy, shooting in Rome and co-creator Drake Sather, but nothing of real substance. WHAT: When a T-2 oil tanker off the coast of Cape Cod is ripped in half during a massive storm in 1952, trapping its surviving crew members on the sinking stern, Coast Guard captain Bernie Webber (Chris Pine) leads a daring rescue attempt into perilous waters while the tanker’s chief engineer, Ray Sybert (Casey Affleck), improvises to buy his crew more time. WHY: With the exception of the 2007 indie, “Lars and the Real Girl,” director Craig Gillespie’s filmography is pretty underwhelming, and his latest movie is no different. “The Finest Hours” feels very much a product of its time – the kind of wholesome, self-effacing true story that Disney excels at making – but unfortunately, it’s also incredibly cheesy and dull. There’s exactly one thrilling sequence in the entire film, and even that doesn’t seem to properly capture the danger and improbability of the rescue. Instead, the movie just plods along to its inevitable conclusion without any personality or emotional heft, dragged down by a pair of unengaging protagonists and a subplot involving Webber’s fiancée that could have been cut entirely. Chris Pine and Casey Affleck look positively bored by the material, while the rest of the cast (including Ben Foster, Eric Bana, John Ortiz and Michael Raymond-James) are wasted in throwaway roles. 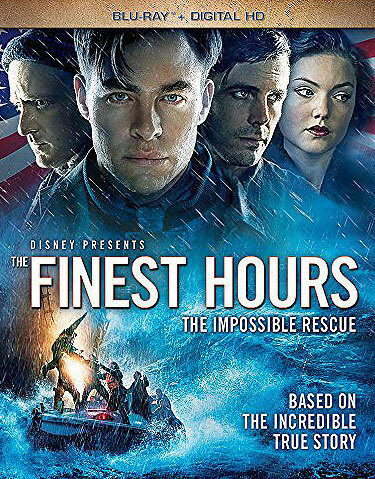 “The Finest Hours” is supposed to be about one of the greatest rescues in Coast Guard history, but you wouldn’t know it from this forgettable period drama. EXTRAS: There’s a featurette about the true story that inspired the film, interviews with the cast about making the movie, a pair of U.S. Coast Guard promotional videos and deleted scenes.